Executive Committee members meet to discuss topics of relevance to the International Code of Nomenclature for Cultivated Plants (ICNCP), to seek solutions to problems as they arise relating to cultivated plant taxonomy and to provide governance and guidance to Hortax and to its projects. 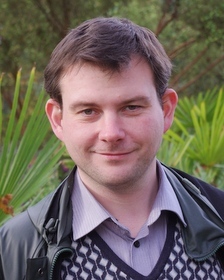 James is Editor of Specialist Publications with the Royal Horticultural Society. Before his current appointment he was Senior Botanist with the RHS and has written widely on various horticultural and botanical topics. In 2010 he co-authored a book, The Wildflowers of Wisley, an account of the native andnaturalised plants of the Wisley Garden and Estate. 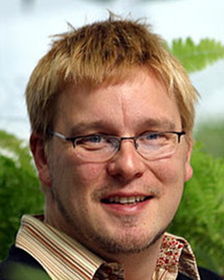 His knowledge ofhorticultural taxonomy is put to use each year as one of the editorial team of RHS Plant Finder. He is presently engaged in researching a range of subjects connected with the taxonomy of garden plants, in particular the identity of escapees from horticulture which have become invasive in the British Isles. Since 1999 Saskia has worked as taxonomist and registrar for the Royal General Bulbgrowers' Association in The Netherlands, where its title is Koninklijke Algemeene Vereeniging voor Bloembollencultuur (KAVB); it is the National and International Cultivar Registration Authority for many bulbous genera. She is involved in developing the database of the KAVB. 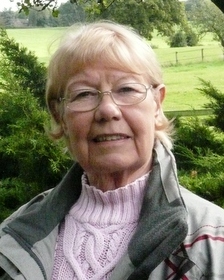 She is one of the editors of the Supplement 2005 Classified List and International Register of Tulip Names and one of the authors of two publications on the new Hippeastrum cultivar classification. Saskia is also a Member of the International Society for Horticultural Science Commission for Nomenclature and Cultivar Registration. She studied Biology at Leiden University, The Netherlands and graduated in Plant Systematics and Evolution Biology. During her studies she worked on taxonomic revisions in the Euphorbiaceae and Melastomataceae and was one of the authors of a field-guide for the identification of seedlings of tropical forest tree species of East Kalimantan (Indonesia). A founder member of HORTAX, Chris was Director General of the Royal Horticultural Society from 1985 to 1993 and prior to that was Director of Wisley (1969-1985) and its Senior Scientific Officer and Botanist (1960-1969). He was Chairman of the International Society for Horticultural Science (ISHS) Commission for Nomenclature and Registration from 1972 to 2000 and has been Chairman of the IUBS Commission for the Nomenclature of Cultivated Plants since 1979, chairing the Editorial Committee of that Commission for the 1980, 1995 and 2004 editions of the 'Cultivated Plant Code'. He also chaired the RHS Advisory Panel on Nomenclature and Taxonomy from 1994 to 2002 and is a member of a number of RHS Plant and Trials Committees as well as serving on the UK Plant Breeders' Rights Controller's Advisory Panel for herbaceous plants (Plant Variety Rights Office). He is interested in the conservation of both wild and cultivated plants and in 1978 he initiated the formation of the National Council for the Conservation of Plants and Gardens (NCCPG) and the establishment of National Plant Collections. Chris was the President and Chairman of the Board of the ISHS (1998-2002), having been a Vice-Chairman of the Board responsible for Scientific Affairs from 1994 to 1998. 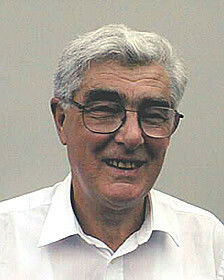 He was also a UK Council Member of ISHS (1972-1999) and has been a member of ISHS since 1968. He was elected a Fellow of ISHS followed by Honorary Membership of the Society in 2002. A past Trustee of RBG Kew and RBG Edinburgh, he has published many botanical and horticultural papers and articles, particularly on monocotyledonous genera and Daphne as well as on horticultural taxonomy, and is the author of a number of books on botanical and horticultural topics. Until 2005 he was consultant Editor of The Plantsman, and he has also edited horticultural and botanical books. He has led and taken part in a number of botanical expeditions to China, Georgia, Central Asia, Sikkim, Turkey, Greece and Patagonia, and continues to maintain his involvement in nomenclature, taxonomy, and the stabilisation of plant names. Current research projects include the genera Colchicum, Galanthus, Anemone, Polygonatum and Daphne. Philip is Features Editor for The Garden, Journal of the RHS, where he has worked since 2002 when he first joined as Trainee Horticultural Journalist. His role is wide and varied but chiefly involves planning and selecting the future content of The Garden, as well as day-to-day jobs of commissioning authors, editing and helping with image selection. He also writes several features each year, and organizes and oversees photo shoots for features such as the nursery visits. He has also written and contributed to several books, most recently the forthcoming updated edition of the RHS Encyclopedia of Plants and Flowers. Philip has a strong background in horticulture, having completed a BSc (Hons) in the subject at Wye College in Kent, two years of training as a student at RHS Garden Wisley and four years working with a landscaper/garden designer. He has long been interested in a wide range of hardy and tender plants, and grows an eclectic selection in the walled garden and glasshouse at his home in Peterborough. A volunteer with the Royal Horticultural Society, Myra is secretary to Hortax and is managing the ‘Lost Names’ project which is a collaborative effort, with ten major horticultural libraries contributing to the development of a cumulative index to The Gardeners’ Chronicle. It is hoped that the index will be of interest to garden historians and other historical researchers. A chartered member of the British Computer Society, Myra is a systems professional rather than a horticulturalist and worked in business process, systems, information and knowledge management roles for ICL, Xerox and, more recently, for Imperial College, London. Her experience in international standards development and in database and knowledgebase management in particular, is equally relevant to Hortax. 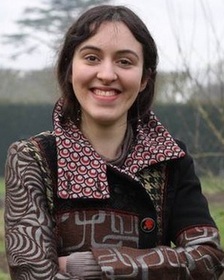 Myra graduated from the Open University in Natural Sciences in 2012. She has a keen interest in wildflower as well as wildlife conservation, is an enthusiastic gardener and enjoys botanical and wildlife photography. Sabina is a researcher on the Flora of the Arabian Peninsula and Socotra project at the Royal Botanic Garden Edinburgh. She advises on several projects in the Middle East, particularly in relation to plant conservation and the development of Botanic Gardens in the region. This appointment followed a brief period as the Royal Horticultural Society's International Conifer Registrar. As the Stanley Smith Research Fellow in Horticultural Taxonomy, she revised the text of the six volumes of the European Garden Flora. Sabina was a principal editor of the revised edition which was published as five volumes in 2011. Before this she was editor of The New Plantsman for the Royal Horticultural Society and a Research Associate at RBGE. Sabina was one of the founder members of HORTAX and one of the principal organisers of the Third International Symposium on the Taxonomy of Cultivated Plants held in Edinburgh in 1998. Sophie has been working since 2012 for Plant Heritage, the charity dedicated the conservation of cultivated plants in the UK and Ireland. 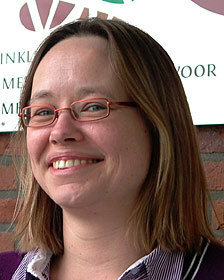 She currently manages the network of National Plant Collections®, and has over the years contributed to the development of the Threatened Plants Project, an initiative aimed at red listing cultivars which have become threatened in the trade and in cultivation, and establish conservation plans for the most worthy. Sophie previously worked at the National Botanic Garden of Belgium, investigating the use of pollen in Rubiaceae systematics. She studied Plant Biology and Ecology at the Free University of Brussels, Belgium, and has a particular interest in orchid taxonomy, having undertaken molecular and morphological research on the Angraecoid group. Valéry Malécot is Associate Professor in Botany at Agrocampus Ouest (centre d'Angers, Institut National d’Horticulture et de Paysage), in Angers. He works on the taxonomy and nomenclature of wild and cultivated plants such as Adoxaceae, Fabaceae and Europbiaceae and is involved in phylogenetic study of some of these groups. 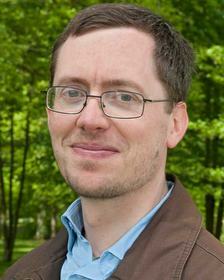 He serves as an expert on nomenclatural questions for the French Botanical Names Database (BDNFF and INPN). He gives regular advice on plant nomenclature and makes plant identifications for professionals and amateurs. His teaching is dedicated to plant morphology, nomenclature and taxonomy. He is a member of the IUBS Commission on cultivated plant nomenclature and of the Nomenclature Committee for Vascular Plants (under International code of nomenclature of algae, fungi and plants). Victoria is a founder member of HORTAX and was secretary to the Group from 2007 to 2014. After working for eight years on the Flora of Turkey project at the University of Edinburgh, she was appointed cultivated plant taxonomist at the Royal Botanic Garden Edinburgh (1974-1986). At the Royal Botanic Gardens Kew she took over the Editorship of The Kew Magazine (now Curtis's Botanical Magazine) (1989-1993) and then began work with the Royal Horticultural Society (RHS) where she launched and edited The New Plantsman. In 1994 she moved to the USA where she became the RHS International Registrar for Clematis and in 2002 returned to the UK where she also took over the registration of Lilium. She has written botanical and horticultural books and papers, and has contributed to a number of books. She was an editor of the first edition of the European Garden Flora Vols 1-5 and wrote generic accounts for all six Volumes. Her botanical interests include Liliaceae, Clematis, Saxifraga and climbing plants. Victoria has travelled to many parts of the world, collecting (with Permit!) and photographing plants. She has led botanical tours to the Caucasus and south-west China. Now retired, she continues to travel in search of plants and also edits horticultural and botanical books. Lesley is responsible for managing and conducting Distinctness, Uniformity and Stability (DUS) tests for vegetable crops at Science and Advice for Scottish Agriculture (SASA), Edinburgh. These DUS tests are conducted on behalf of the United Kingdom, the EU Community Plant Variety Office (CPVO) and for other European Member States through bilateral agreements. Her main areas of expertise are in the crops Brussels sprout, celery, onion, vegetable pea and watercress. In addition to her many years of experience in DUS testing Lesley also has an active interest in the characterisation and classification of vegetable crops, plant genetic resources and cultivated plant taxonomy and nomenclature.  Lesley is currently a member of the Swedish Linnean Society (Svenska Linnésällskapet). Sharon joined the Royal Horticultural Society in late 2006 as International Narcissus and Dahlia Registrar. 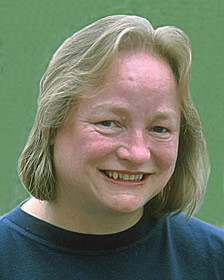 In 2010 she also became the Conifer Registrar. The three groups generate around 300-350 new names a year, with research into areas such as classification and older names also being a large part of her work. She is Secretary to the Advisory Sub-Committee on Narcissus Classification. Sharon previously spent four and a half years working at RBG Kew as the Assistant Scientific Officer for the Temperate Section of the Herbarium. She helped to curate material for about 100 plant families and participated in a trip to Kamchatka (2003) in search of herbarium specimens and to New Zealand (2006) collecting herbarium specimens and seeds; she also taught on the Herbarium techniques course in Istanbul in 2006. Plant Health Agency (APHA) and the Community Plant Variety Office (CPVO). These comprise Seed Certification services and DUS testing for both National Listing and Plant Breeders’ Rights, alongside technical and policy advice on related issues. context, Liz was previously the Head of Ornamental Crops before taking the lead of both Crop Characterisation teams in 2010. On behalf of Defra, she represents the UK within UPOV and CPVO technical groups which facilitate international harmonisation in variety testing.